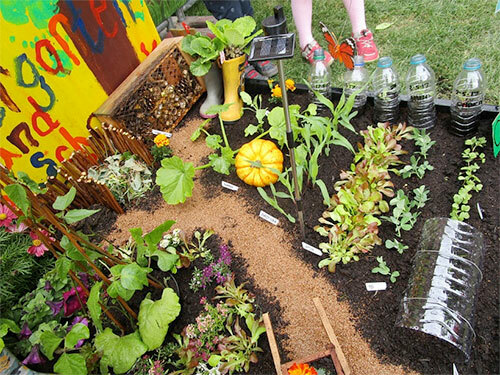 This occasional section offers reports on local gardening and allotment related events and topics. Get in touch via our contact form if you if you have any ideas for a Roving Report. For links to previous reports see the list at the bottom of this page. 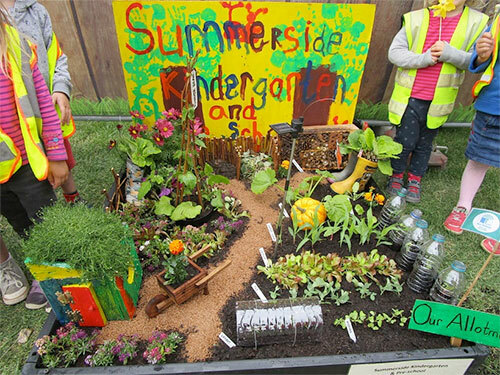 The Pre School children from Summerside Kindergarten, with a little help, had great fun recreating their Warriston allotment in miniature for the Gardening Scotland Pallet Garden Competition 2017. 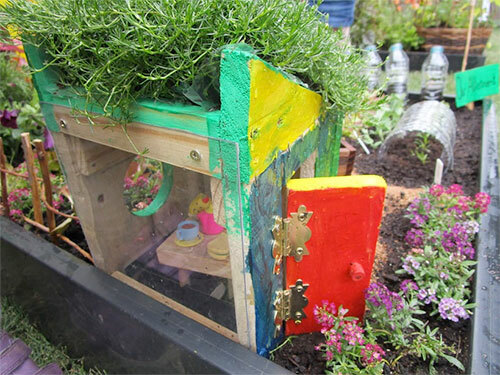 The children painted the backdrop and shed, sowed the seeds and nurtured the seedlings. We took a trip on the nursery bus out to Ingliston to the event and the children all helped to plant up the pallet with our own compost and plants. The overall effect was very colourful and told a lovely story about our allotment journey. The children's efforts were rewarded with a GOLD medal! The pallet garden was then recreated at the nursery for the parents to see and was a big hit. If you are wondering, the flowers and vegetables are now all back growing in the nursery allotment at Warriston.